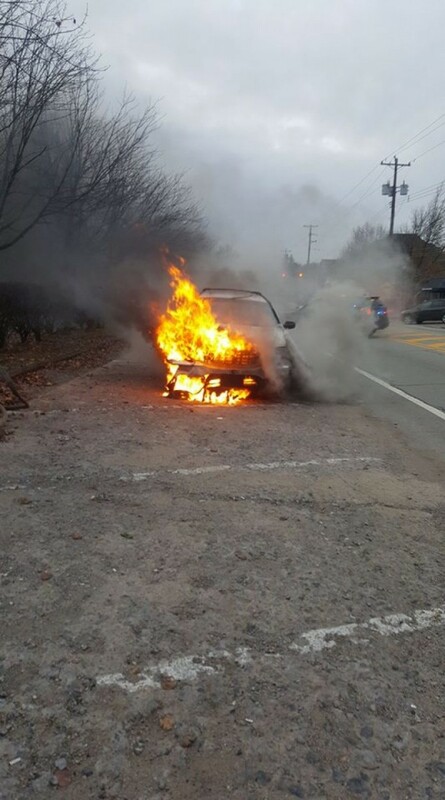 At 16:17 Hours, Stations 102, 111, and 265 were alerted to respond to the 200 block of Freeport Road in Aspinwall for a vehicle fire. 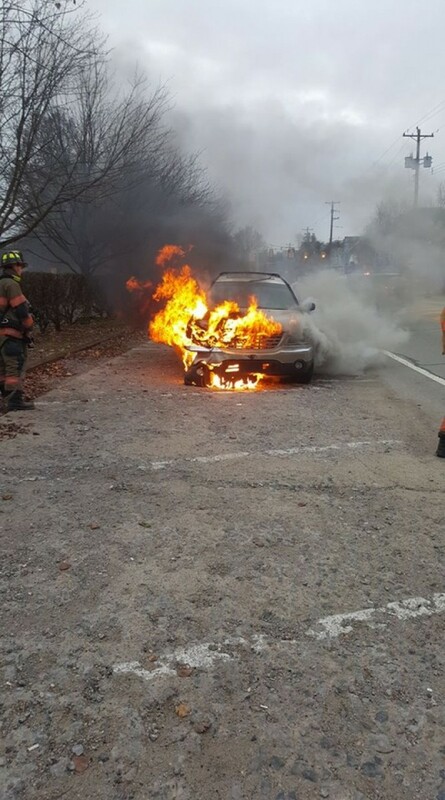 102 Chief arrived on scene after dispatch and confirmed a working passenger vehicle fire on the side of the road opposite of the municipal parking lot. 102 Engine 1 pulled on scene and pulled the officers side trash line. 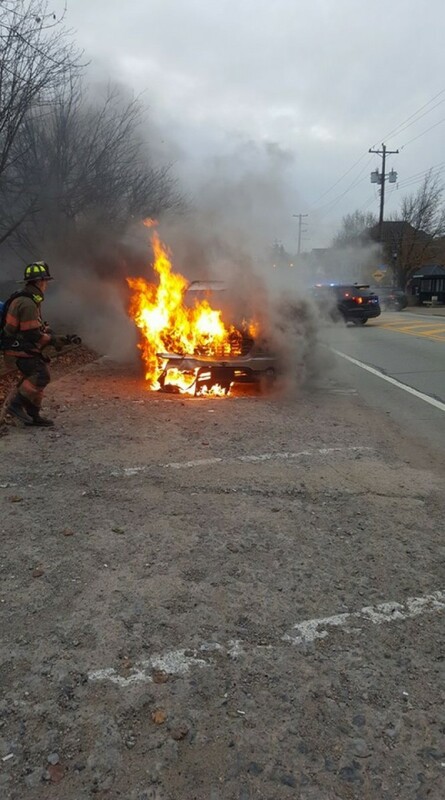 102 Engine 1's crew began fire suppression while 102 Captain used the E-draulic spreaders to open the hood. The fire was quickly knocked down and a TIC was used to check for extension into the passenger compartment. 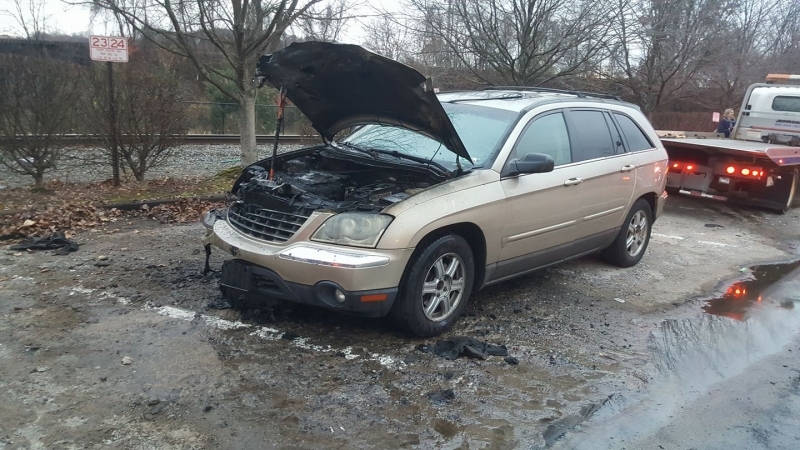 No extension was found and water was applied and the engine compartment was monitored while waiting for the tow. The battery was cut to isolate the last source of heat before loading onto the tow. 102 units returned back into service at 16:50 Hours. In preparation for our Structure Fire Rescue class coming up June 18, 25, & 29th.